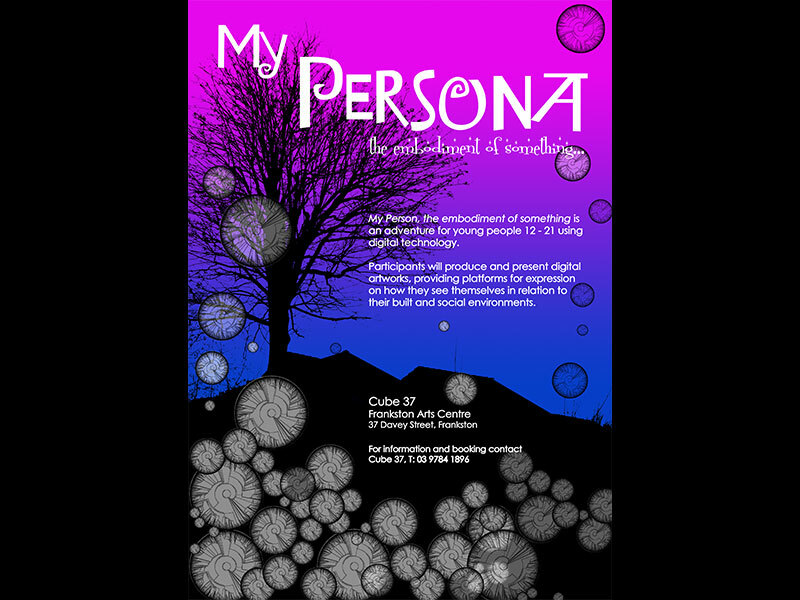 Graphic design and production for and youth digital arts program My Persona… the embodiment of something at Cube 37, Frankston Arts Centre. The final exhibition was an outdoor screening of short films and animations as well as an exhibition of printed t-shirts and a sculptural/ projection installation. My Persona was funded by Arts Victoria and the Frankston City Council.